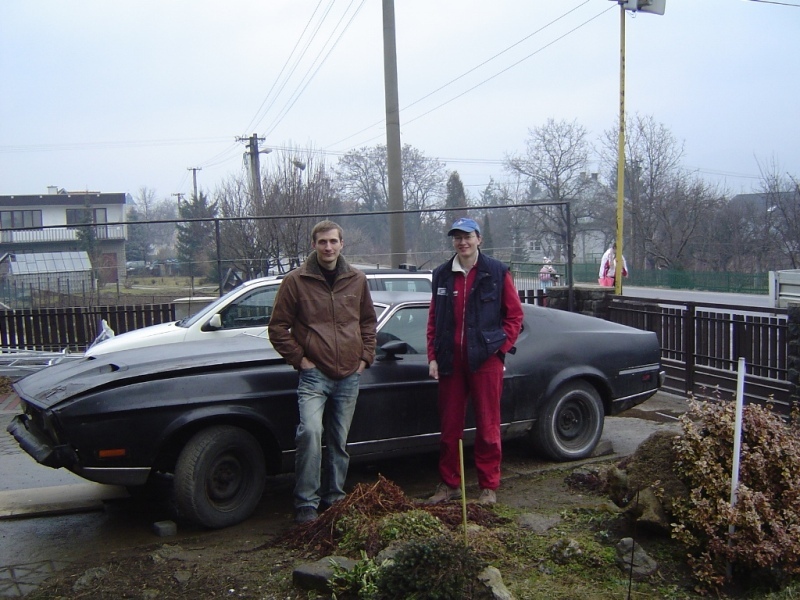 Welcome to the page which presents the restoration progress on my Mustang Mach 1 72'. I own the car since March 2008. It was always like a dream to own this kind of american muscle. Its even very rare to see these kind of casrs in Europe specificly here in Czech republic. The car ws imported in the early year 2008. Due to the car age and the price I would not expect to have a perfect condition car. 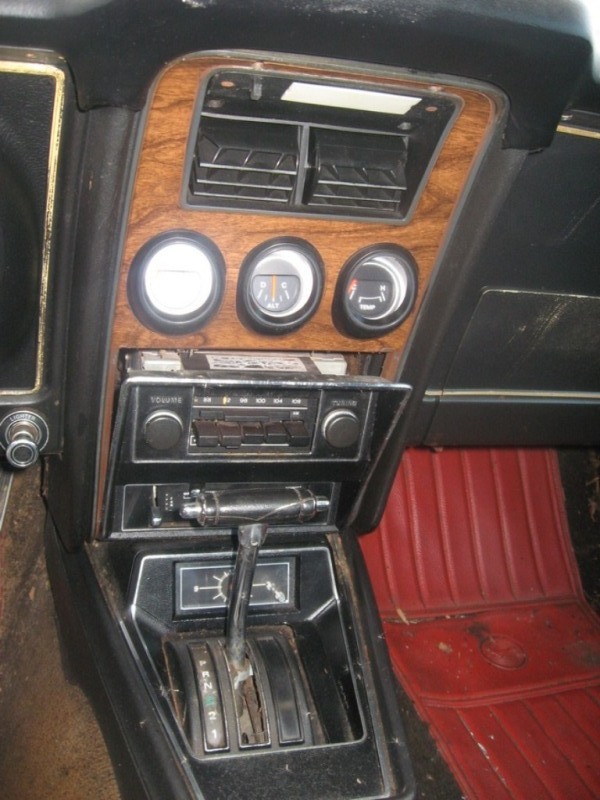 After firs inspection of the car I decide to purchase and continue with complete restoration. 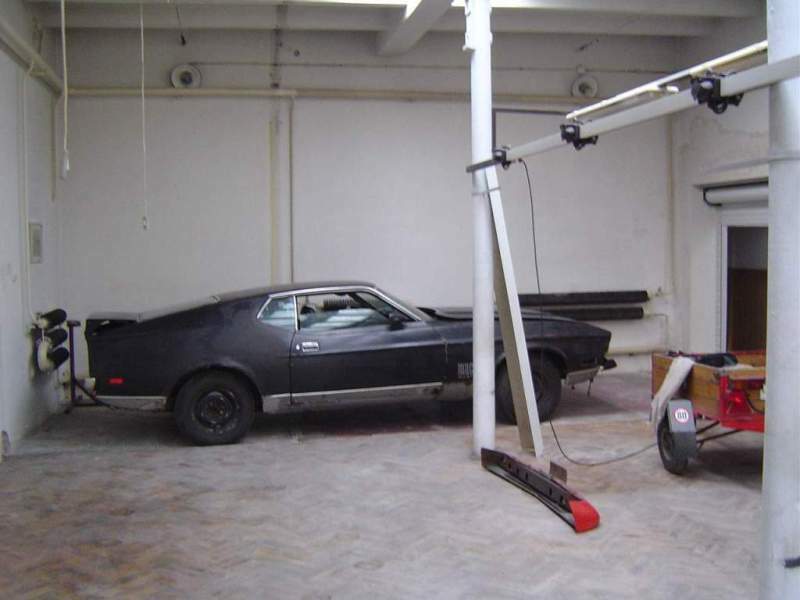 Mach 1 was assembled in November 1971 in Ford head facility at Dearborn Michigan. Originally equiped with H code 351 2V Cleveland engine and FMX transmission. I have tried so search some history of the car in US but I was not successful so far. for the car conditions I can say it passed through small crash to the front which was visible on the repaired hood , bumper and frame rails. Maybe this as a reason to exchange the engine to current 302 2V and C4 transmission. 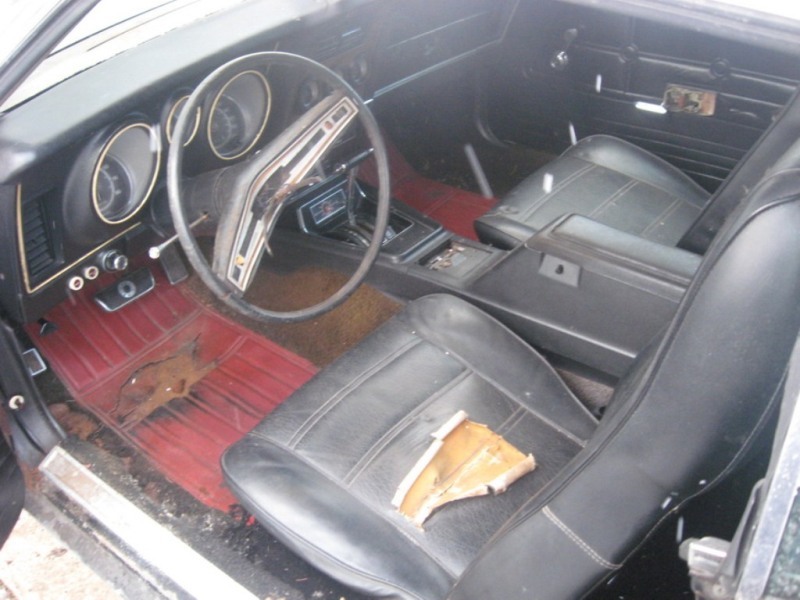 the car was also sprayed with bad quality black paint over the original pewter metallic.I do no know why but the original Vermillion deluxe interior was replaced for black standart one. Its visible on the seat exchange. overpainted headliner ans replaced door panels to hide old radio speakers. I guess the car was running condition at least at in the year 1989 or 1990 The stickers on the front windshield are marked by this years. Mach 1 arried in my workshop. Side view of the long hood and straigth deck. I have ordered a complete car history report form the Martiauto company. 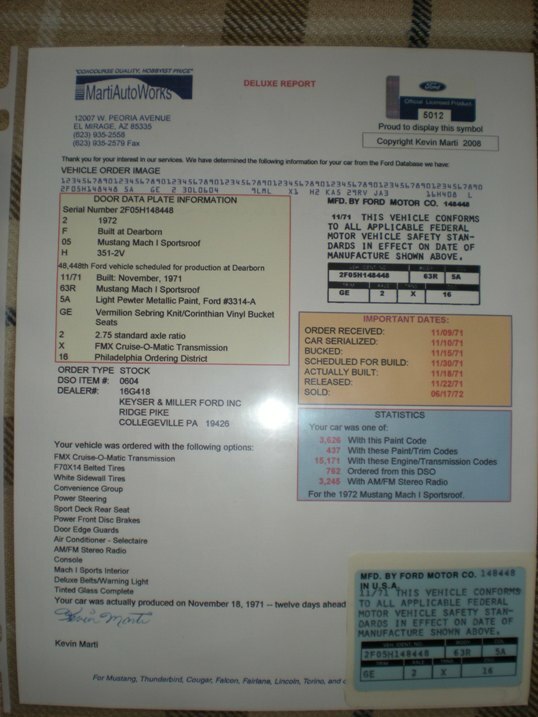 Kevin Marti owns original Ford dealer and production databases for all kind of Mustangs and is licenced to print new VIN data sticker plates.